The recordings we offer are a natural and drug-free option for common concerns, such as health issues, stress management, depression, performance enhancement, sleep, and others. You may access these “brain entrainments” by immediate download, which may be played on computer, MP3 player, smart phone, tablet – anything that plays MP3s, or you may order a CD which will be delivered by US Mail (USA only). Think of brain entrainment as an exercise program for your brain. 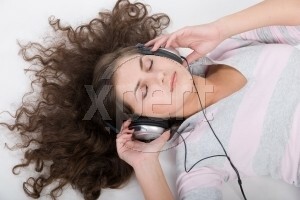 Some of the sessions can be done with your eyes open, but most require you to lay down or at least close your eyes and rest in a chair or bed while listening. It will be helpful to drink a glass of water before and after doing a session, as the brain requires more water for these types of processes. PLEASE NOTE: The quality of your speakers and headphones can make a big difference in getting the full benefit of the entrainment. We recommend that you check your speakers, and use the best in your home. If using headphones, make sure they are capable of reaching 2 Hz. Be aware that there are sessions that require headphones. These sessions should ONLY be used with headphones because different stimuli are presented to each brain hemisphere (be sure to put the right headphone on the right ear and the left headphone on the left ear). These CDs/Downloads are not recommended for: epileptics, pregnant women, those wearing a pace maker, those prone to seizures and those who are photosensitive. Do not listen to these CDs/ Downloads while driving or operating machinery. The user assumes all risk, waving any claims against Life Skills Institute & Clinic for any and all mental and/or physical injuries. The user also agrees to assume liability when allowing others to listen to these CDs/Downloads.